Among our goals: manage the area, restore the natural and cultural values and regulate the public use. The objective of the “Muntanya del Voltor” project is to find the balance between the restoration and management of the cultural and natural heritage, with the hiking and educational activities. With this aim, we have established several lines of work. What we do? A number of actions are taking place in order to reverse the degradation of the area, with the specific goals of: restoring the natural and cultural heritage, rediscovering and highlighting the inherent values and encouraging conservation. The natural and cultural richness of this region justify by themselves the establishment of an effective conservation programme. We work hard at “Muntanya del Voltor” to preserve our heritage while raising awareness of the importance of knowing and respecting the Serra de Tramuntana. 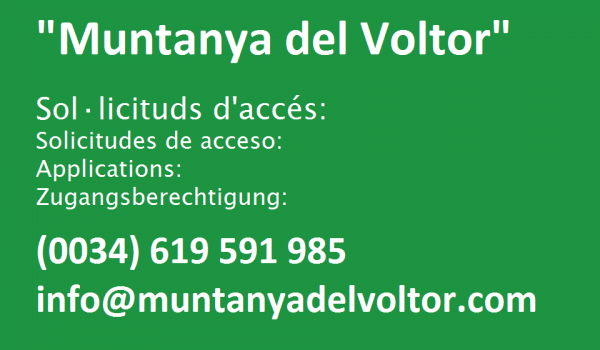 Access to the “Muntanya del Voltor” area is regulated. With the aim of reducing human impact, we have established a limit of hikers per day in accordance with the carrying capacity of the environment. This way, we can also reduce the saturation and offer a quality experience to our visitors. To access the area, it is necessary to apply for a permit in advance. You can download the map of the area here. Remember that the itineraris within the “Muntanya del Voltor” area (red lines on the map) are subject to a daily limit of hikers and you have to apply in advance. Green lines are free access trails, like the GR221 dry stone route “under construction” (meaning not official, not posted) which appears in purple on the map. We want to hear your opinion. Please, fill in the survey and help us to improve. 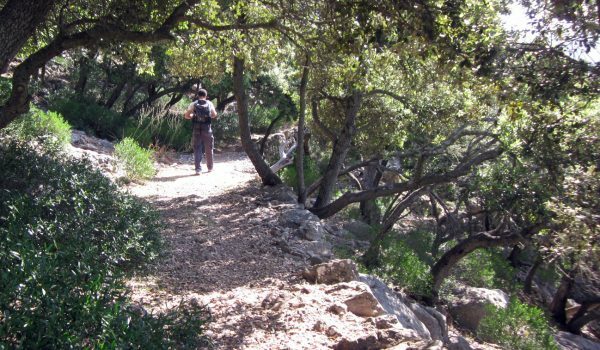 The mountains surrounding Valldemossa have become recently the destination of thousand of hikers that want to enjoy the scenic landscapes of the area. 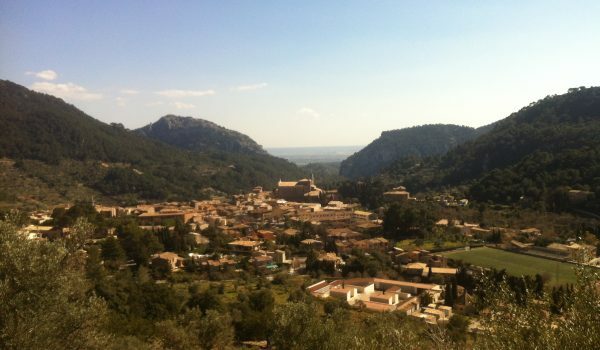 Because of its proximity to Palma, the town of Valldemossa is the main entry to the Tramuntana mountain range. Due to this human pressure, together with the abandonment of traditional activities and the lack of values and respect of some visitors, Pla des Pouet has turned into a overcrowded and degradated area. Drought, goats and a lack of forest management have driven flora communities to a fragile conservation status. On the other hand, the value of most of the cultural heritage spots (viewpoints, wells and huts) is endangered because of its deterioration. Facing this general decline, the landlords of the affected fincas decided to run in common a pioneer landstewarship iniciative. Thus, the aim is to coordinate the restoration and conservation of the cultural and natural heritage with the hiking and educational activities. Fincas of Can Costa, Son Moragues, Son Gual and Son Gual Petit (which extend around 300 hectares) gathered to create the Associacio Muntanya del Voltor (Mountain of the Vulture Association). The goal of this Associacio is to manage the area, restore the natural and cultural values and regulate the public use. 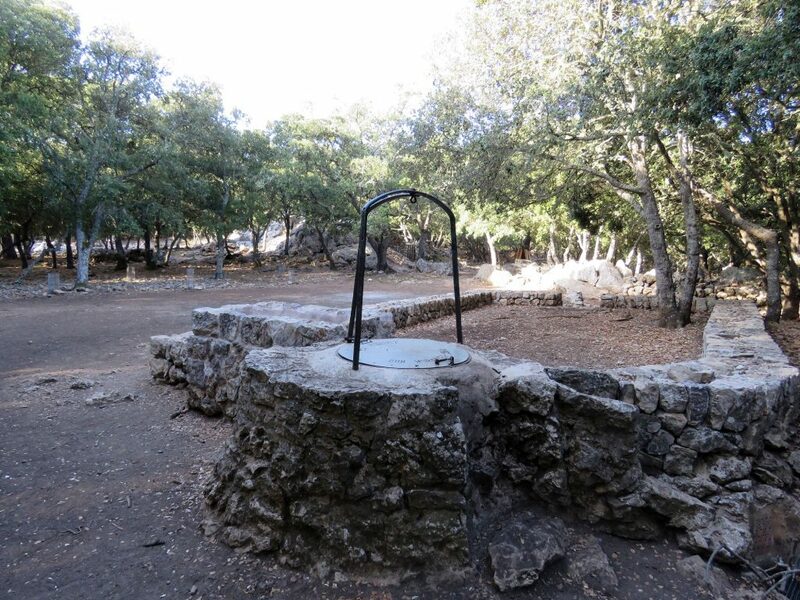 During the first stage of the landstewarship inicitive, the Fundació Vida Silvestre de la Mediterrania (FVSM) (Mediterranean Wildlife Fund) was the organization in charge of the design and implementation of the management programme. Two years after the commencement, the Associacio Muntanya del Voltor took responsibility for the project. The inicitive has the support, among others, of the Valldemossa Town Hall and the Mountaineering and Rock Climbing Federation. Access to the area is subject to permits.